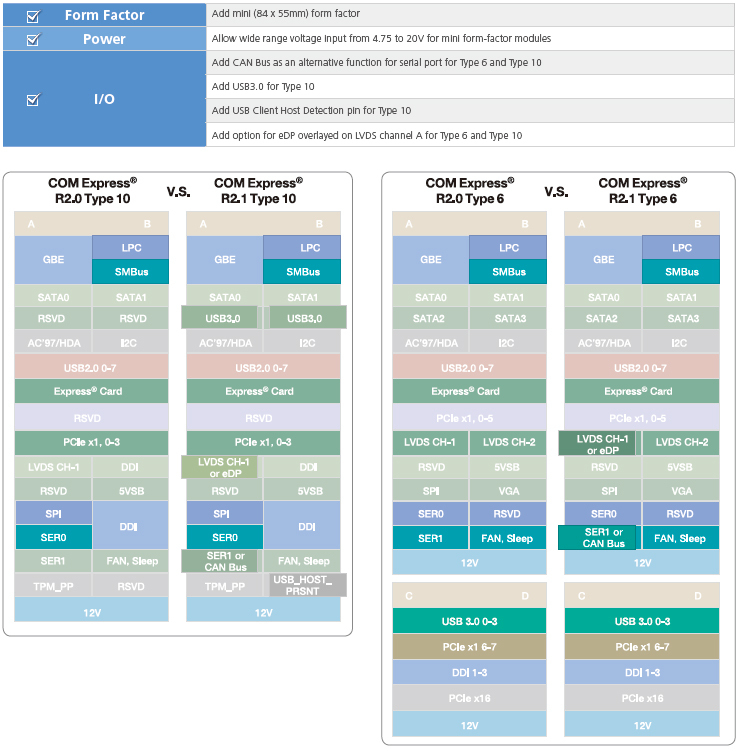 The COM Express® specification Revision 3.0 was launched in March 2017. COM Express® is ideal for markets and applications such as healthcare, retail, advertising, test & measurement, gaming & entertainment, automation, security, telecommunication, digital signage, and networking fields. In this new version of the spec, the big changes are removal of legacy Types – Type 1, Type 2, Type 3, Type 4,and Type 5, and increasing use of a new Type 7 to support higher bandwidth networking and lower power consumption for field application use. There will be more focus on Type 6, Type 7, and Type 10, and some slight changes and improvements for these types. Please refer to the below information for more details. 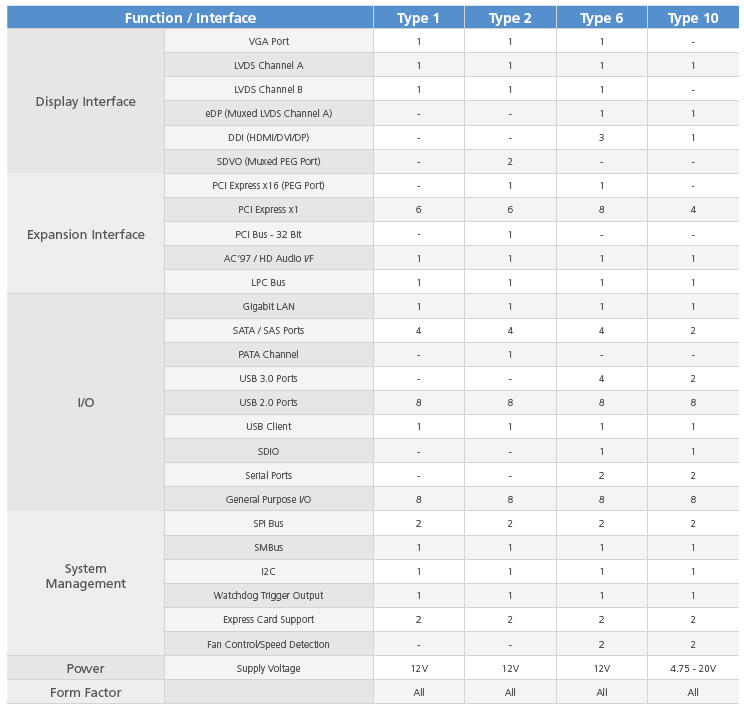 In COM Express R2.1 standard, there are 4 popular pin-out types providing various features and applying to different customer expansion or I/O requirements.